It starts with a conversation. 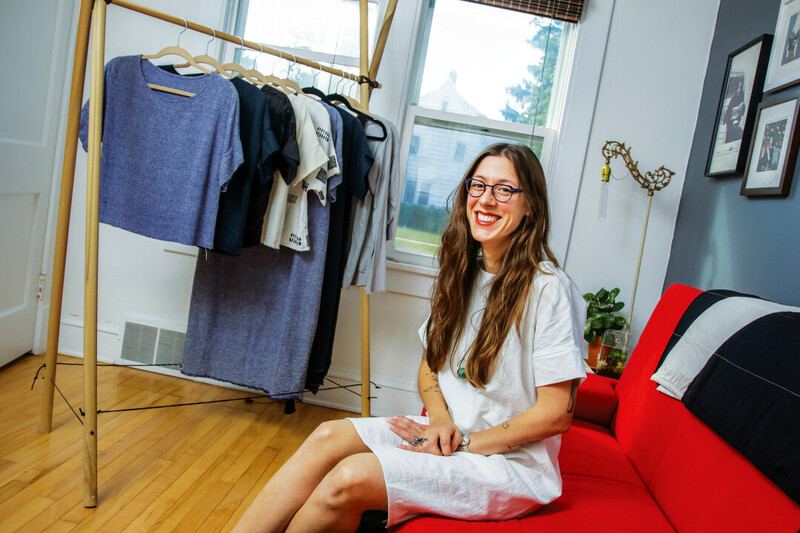 From there, local clothing maker Elizabeth de Cleyre gets to know the person seeking a new garment before she designs them a custom-made piece. A transplant from Portland, Oregon, de Cleyre provides them with examples of pieces she’s done before and swatches of various fabrics, then gets to know their lifestyle to create the best piece possible for each customer. Finally, she creates the garment and makes sure it fits the customer properly, making alterations if need be. De Cleyre has her own business, Cede, which she officially kickstarted during Red’s Back Alley Market this year. 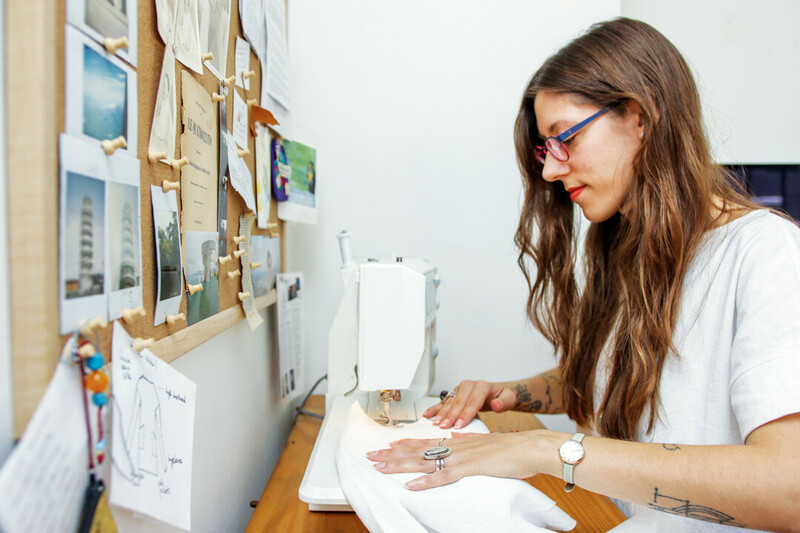 Now, she works with her clients to create custom-made, ethical fashion. Sometimes de Cleyre starts with a sketch prior to getting to work, but occasionally she’ll start a piece without a pattern and go from there. She acquired a skill for sewing when she was young. Her mother was a quilter and worked at a fabric shop, de Cleyre said. She recalls flipping through the pattern books all day while her mother worked at the shop. The clothing designer looks to many female style icons, such as Audrey Hepburn, Georgia O’Keefe, and Joan Didion. She also draws inspiration from the likes of Clare Waight Keller, the artistic director for Givenchy, and Maria Grazia Chiuri, the artistic director of Dior. Major fashion houses, such as Givenchy and Dior, typically don’t have female creative directors, de Cleyre said. That role is usually filled by men. However, when these women began their roles as artistic directors, de Cleyre noticed a shift in the practicality and wearability of the high-fashion clothing they put out. De Cleyre is also influenced by ethical and sustainable brands, such as Jesse Kamm and Elizabeth Suzann. Ethical and sustainable fashion is necessary because of how big a polluter the fashion industry is. The former Dotters Books co-owner described her clothes as ethical rather than sustainable, because what she does still carries an environmental footprint. She refers to her brand as “slow fashion,” in contrast to the major fast fashion retailers around the globe. Ultimately, de Cleyre isn’t looking to grow her business. She enjoys making her pieces to order, rather than mass creating and selling her fashion in bulk, like major online retailers would. De Cleyre can be reached via her website, cedeclothing.com.